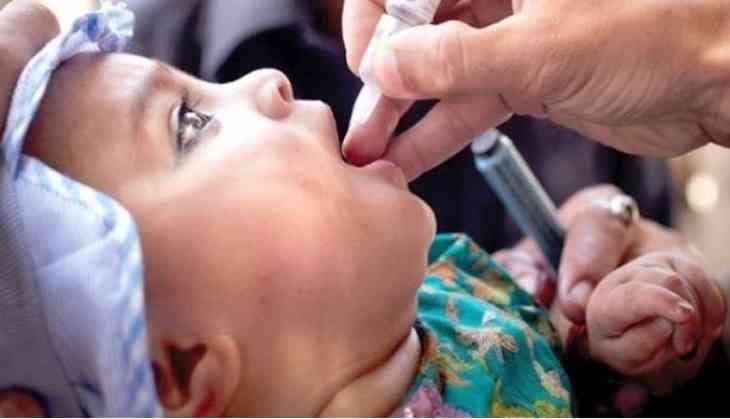 The directorate of health and family welfare services is making arrangements to cover 91,736 children in the age group of zero to five years, under the intensified pulse polio immunisation (IPPI). A release from the Directorate on 18 March, 2017 said the polio drops would be administered to children in two rounds on 2 April, 2017 and 30 April, 2017, simultaneously in all four regions of Puducherry, Karaikal, Mahe and Yanam of the Union Territory. The department is establishing 448 booths to administer oral drops to the children across the Union Territory. While 318 booths would function in Puducherry, Karaikal will have 70 booths followed by 17 in Mahe and 21 in Yanam regions. Booths would also be set up at the inter-state border points and to cover children travelling with their parents in buses since "the focus is on migrant and high risk population," it said. The directorate has identified "high risk sites and children in the age bracket of zero to five years will be administered polio drops." The state-level coordination committee under the chairmanship of Secretary of Health Department was held 17 March, 2017 and necessary action plan was discussed for implementation of intensified pulse polio immunisation. Children can be administered the drops irrespective of previous vaccination and even if the child had received oral polio vaccine or inactivated polio vaccine. The campaign for vaccination of children against measles rubella has been extended up to 27 March, 2017 inorder to cover children who had dropped out of schools, it added.